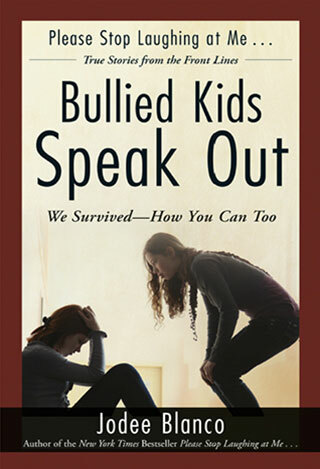 The Voice of America’s Bullied Students, “Jodee Blanco, a former victim who’s dedicated her life to transforming her pain into purpose, is one of the nation’s pre-eminent authorities on school bullying. 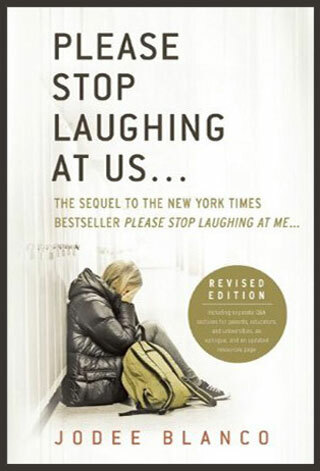 When the media want to understand what’s at the true core of tragedies like the Phoebe Prince suicide or the Columbine shooting, they often turn to Jodee because they know her insight comes from a place of deep personal experience, one that only a survivor turned activist, who now works with tens of thousands of other lonely, misunderstood children, can know. She is the author of the New York Times bestselling memoir, Please Stop Laughing At Me… One Woman’s Inspirational Story, referred to by many as the “anti-bullying bible,” and its award-winning sequel Please Stop Laughing at Us… The Sequel To The New York Times Bestseller Please Stop Laughing At Me., both of which are required reading in schools and universities coast to coast. From fifth grade through high school Jodee was shunned and tormented by her peers for the same reason so many kids are today, simply for being different. As an adult, she travels across the country sharing her story to motivate change. She’s presented her anti-bullying program It’s NOT Just Joking Around! ™ to tens of thousands of students, teachers and parents at the behest of such entities as The United States Department of Interior, The United States Department of Justice, The National Catholic Educational Association, among many others. Her work has been recognized by The National Crime Prevention Council, The Department of Health & Human Services, the National Association of Youth Courts, Special Olympics, The American School Counselor Association, The National Association of Middle School Principals, Teacher Magazine and hundreds of state and local organizations from the PTA and regional law enforcement coalitions to school safety groups. Jodee is frequently called upon for interview, including Newsweek, USA Today (front page story), CNN, NBC, CBS, “The Joy Behar Show”, “The John Walsh Show” and National Public Radio. She is the go-to expert on bullying related breaking stories for many of the nation’s top news networks, including HLN, CNN, Fox News, among others. She has bylined articles for CNN.com (front page), was the focus of an in-depth front-page Q&A on Oprah.com, and her life story has been featured in Parade, Teen Newsweek (cover story), USA TODAY, Teen Guideposts, Hispanic Magazine, The Chicago Tribune, The St. Petersburg Times, and hundreds of local daily newspapers across the United States..
Jodee is articulate, passionate, and very candid. She can address this issue from a perspective others can’t or won’t. To contact Jodee to be an expert interview please call 312-961-3430 or email jodee@jodeeblanco.com. For urgent inquiries or if you’re media deadlining on a breaking story and want Jodee as as expert, call this number 312-961-3430. 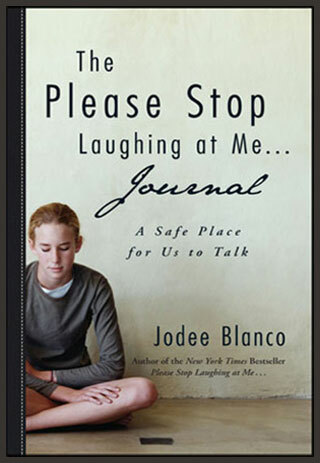 See and hear Jodee Blanco, author of the best-selling Please Stop Laughing At Us… One Survivor’s Extraordinary Quest To Prevent School Bullying is one of the leading experts on school bullying and peer abuse/pressure in the United States. Jodee Blanco is an experienced and savvy radio and television interview. Below are just a few of the national radio and tv programs Jodee has been on. Please view our News Reels.